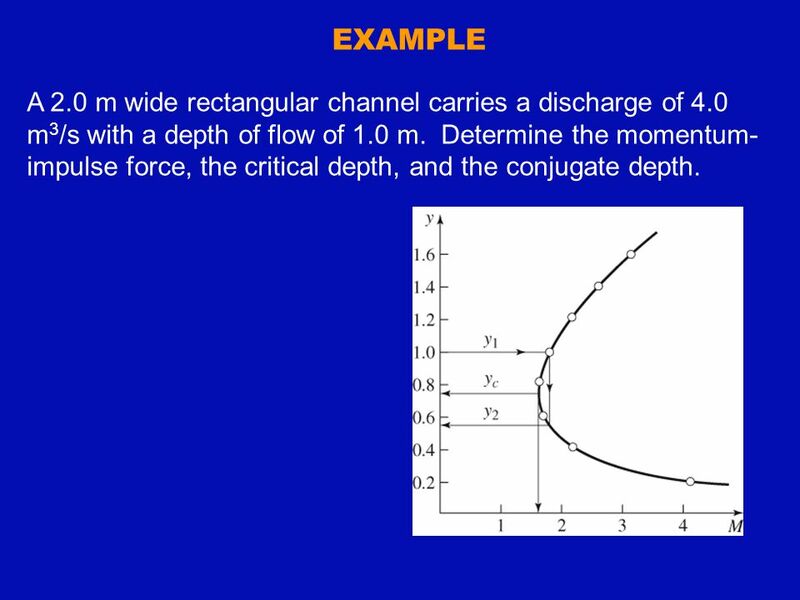 6 EXAMPLE A 2.0 m wide rectangular channel carries a discharge of 4.0 m3/s with a depth of flow of 1.0 m. Determine the momentum-impulse force, the critical depth, and the conjugate depth. 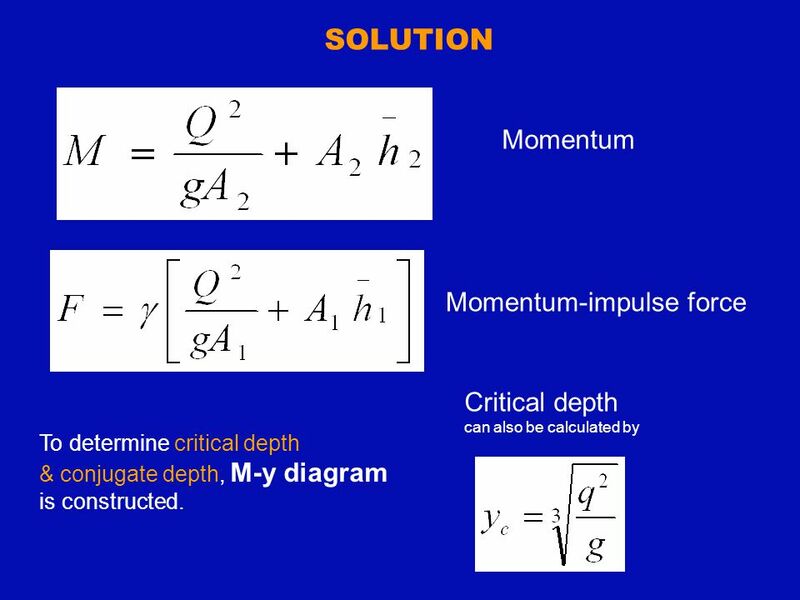 can also be calculated by To determine critical depth & conjugate depth, M-y diagram is constructed. 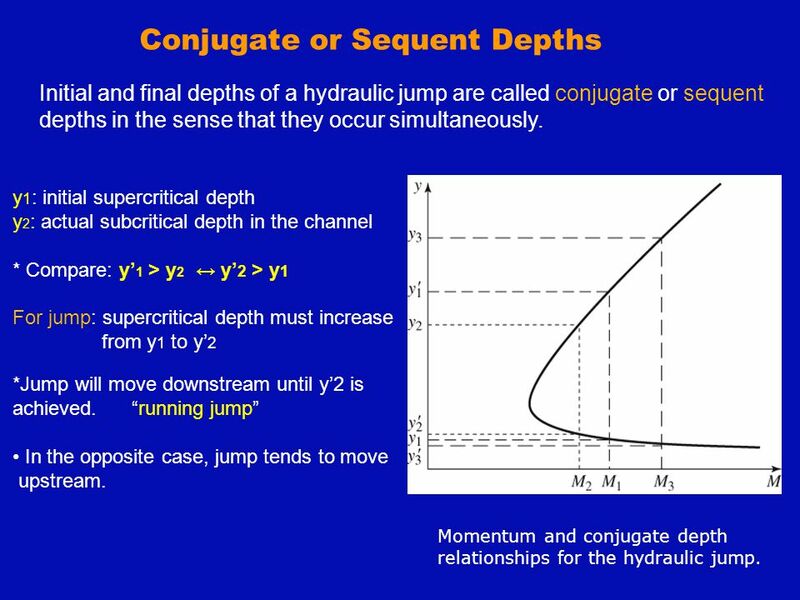 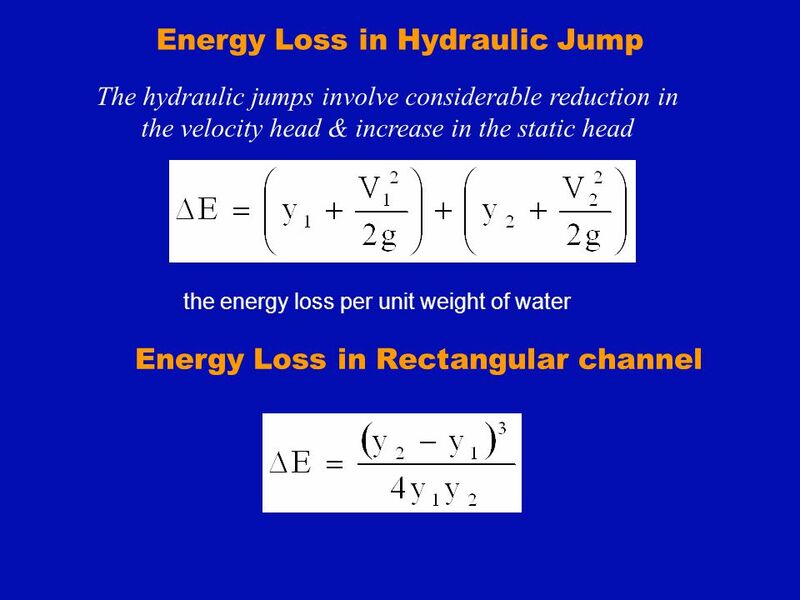 Initial and final depths of a hydraulic jump are called conjugate or sequent depths in the sense that they occur simultaneously. 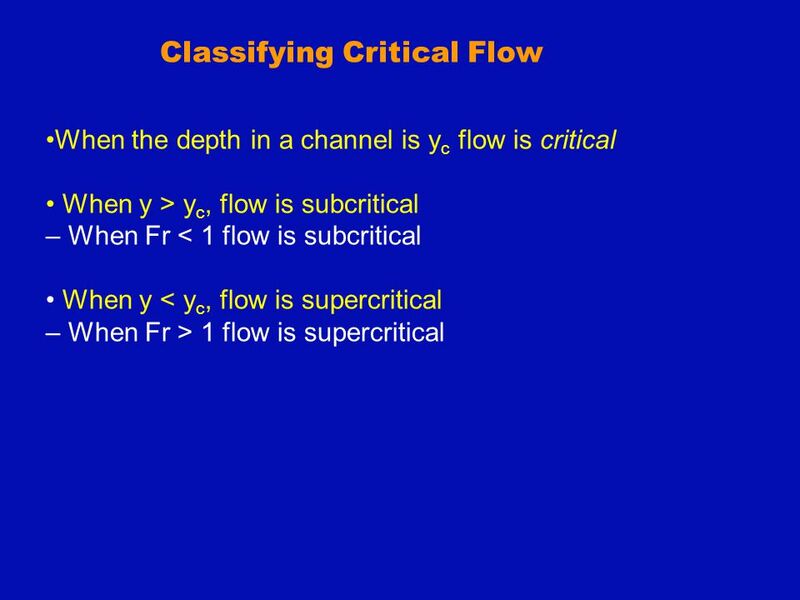 y1: initial supercritical depth y2: actual subcritical depth in the channel * Compare: y’1 > y2 ↔ y’2 > y1 For jump: supercritical depth must increase from y1 to y’2 *Jump will move downstream until y’2 is achieved “running jump” In the opposite case, jump tends to move upstream. 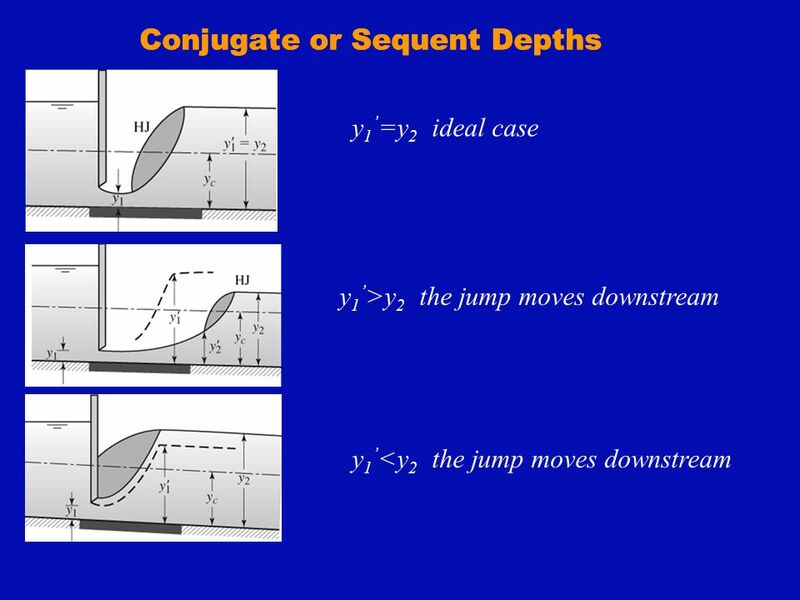 Momentum and conjugate depth relationships for the hydraulic jump. 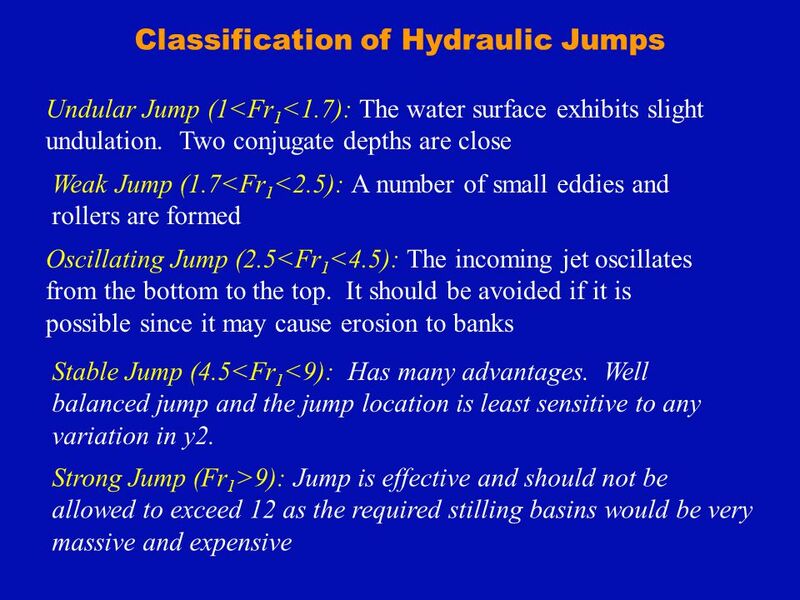 Hydraulic jump forced upstream. 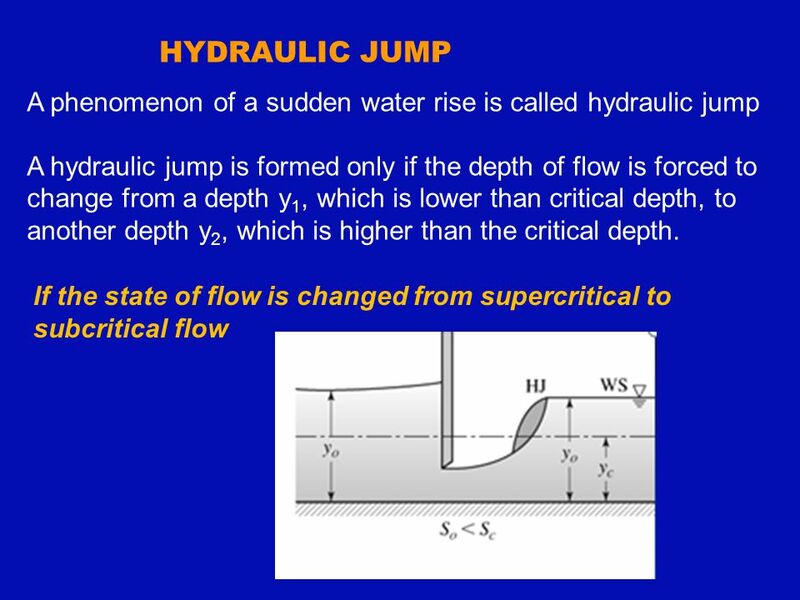 (b) Hydraulic jump occurring on a steep slope. 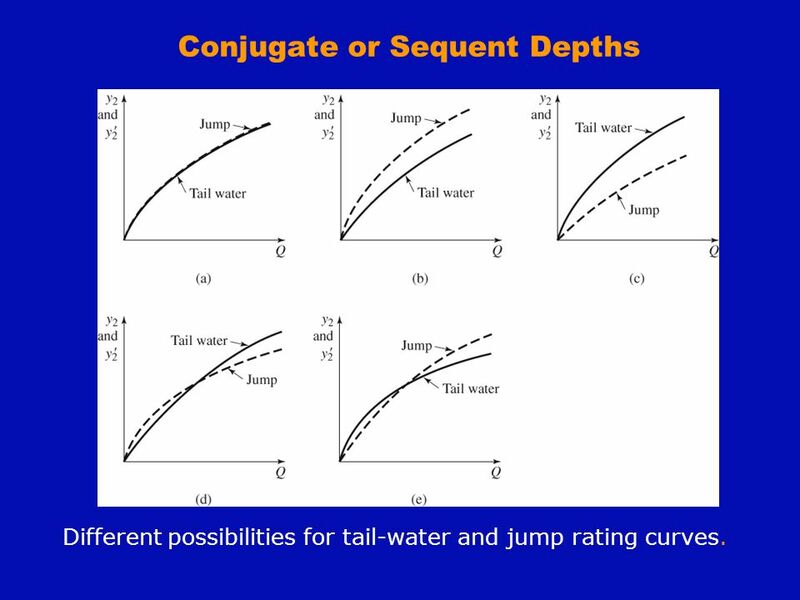 Different possibilities for tail-water and jump rating curves. 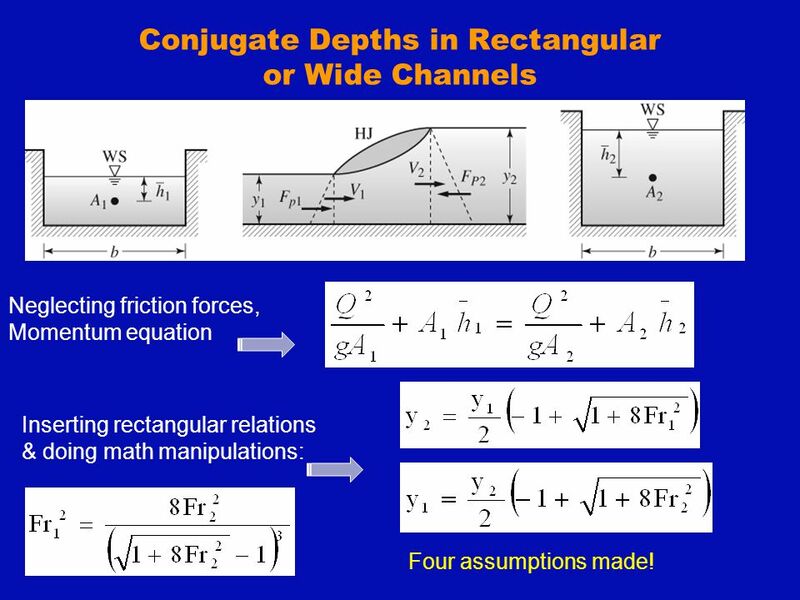 or Wide Channels Neglecting friction forces, Momentum equation Inserting rectangular relations & doing math manipulations: Four assumptions made! 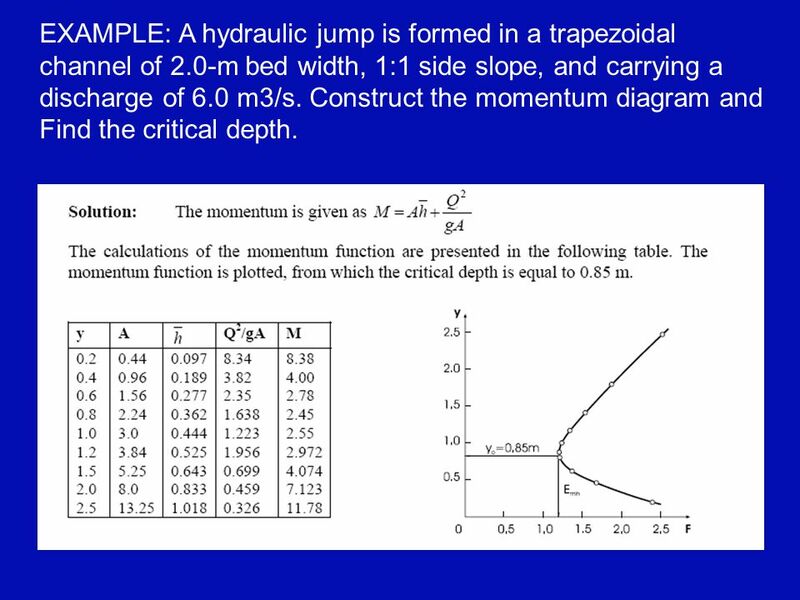 EXAMPLE: A hydraulic jump is formed in a trapezoidal channel of 2.0-m bed width, 1:1 side slope, and carrying a discharge of 6.0 m3/s. 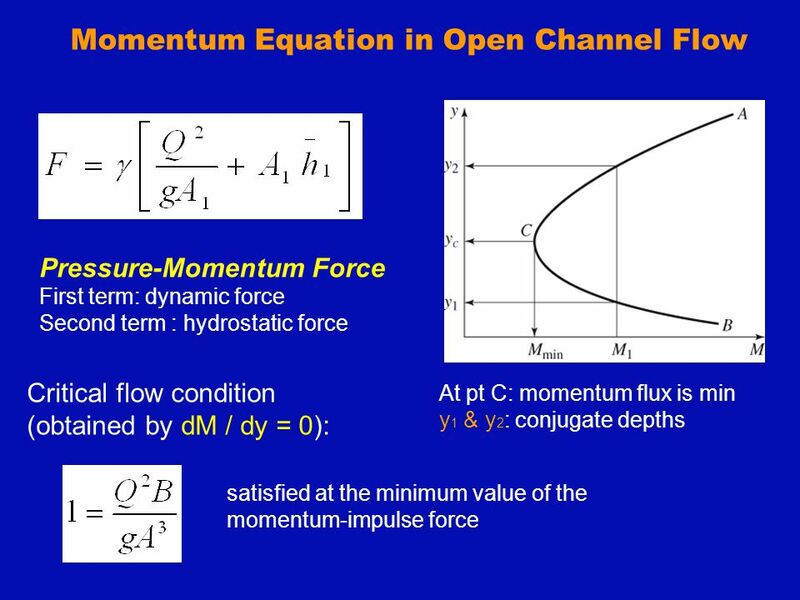 Construct the momentum diagram and Find the critical depth. 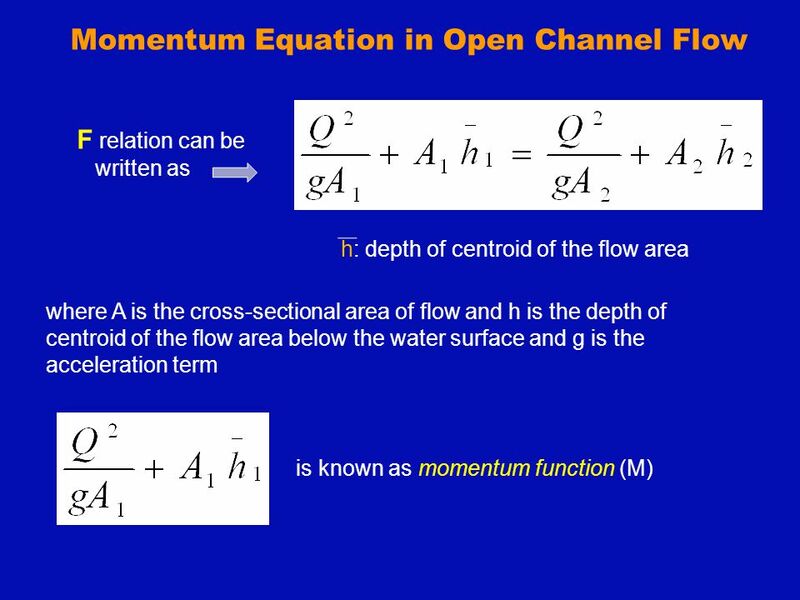 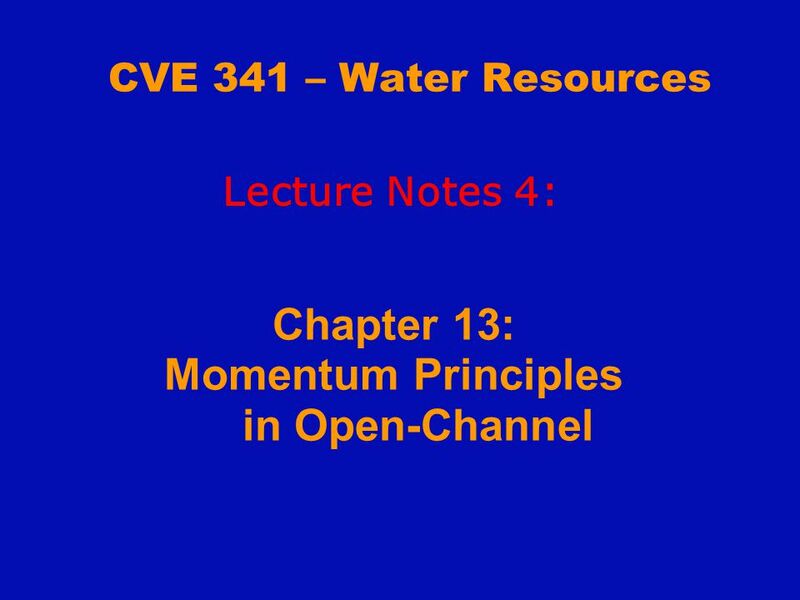 Download ppt "Chapter 13: Momentum Principles in Open-Channel"
Types of flow: Slide from Dr. Isaac. 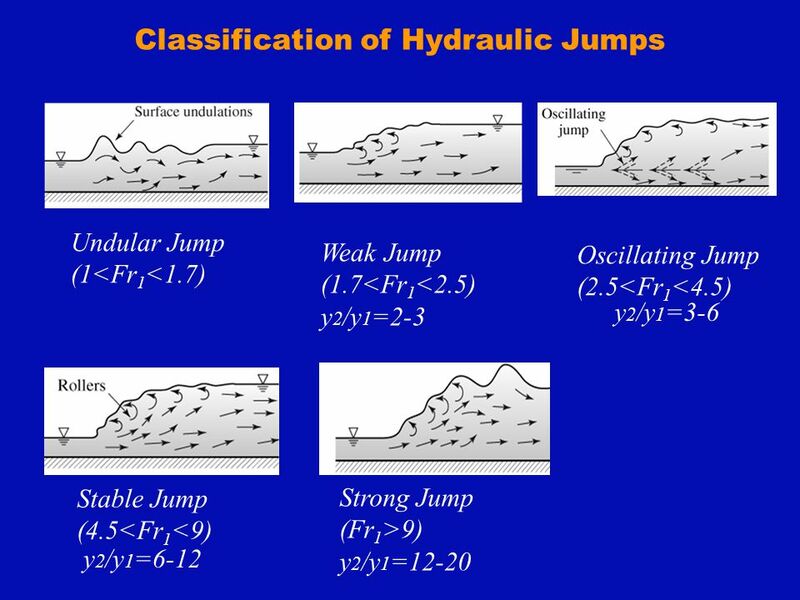 ASCE HEC-RAS Seminar January 25, 2006 Session 1B Hydraulic Data and Fundamental Behavior Affected by Uncertainty. 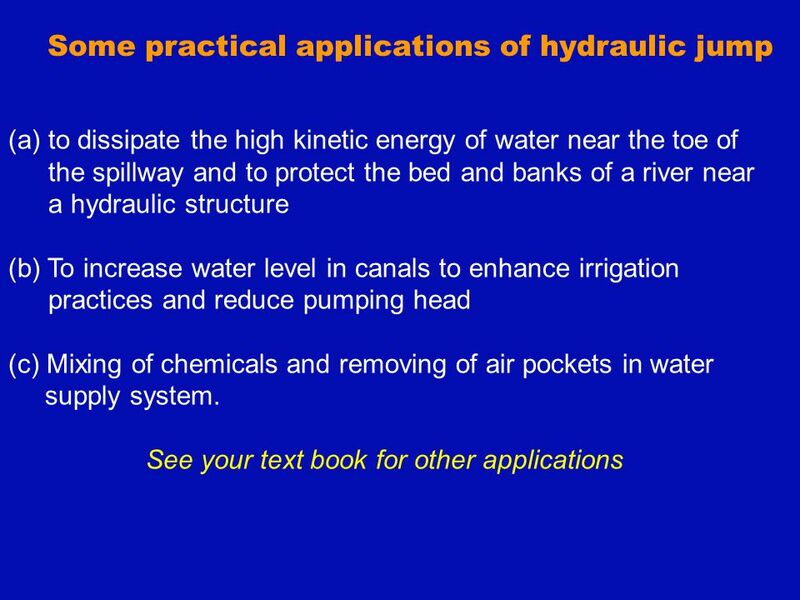 Sept 4, 2008CVEN 4838/5838Slide #1 Lecture 4 Spillways and Outlet Works. 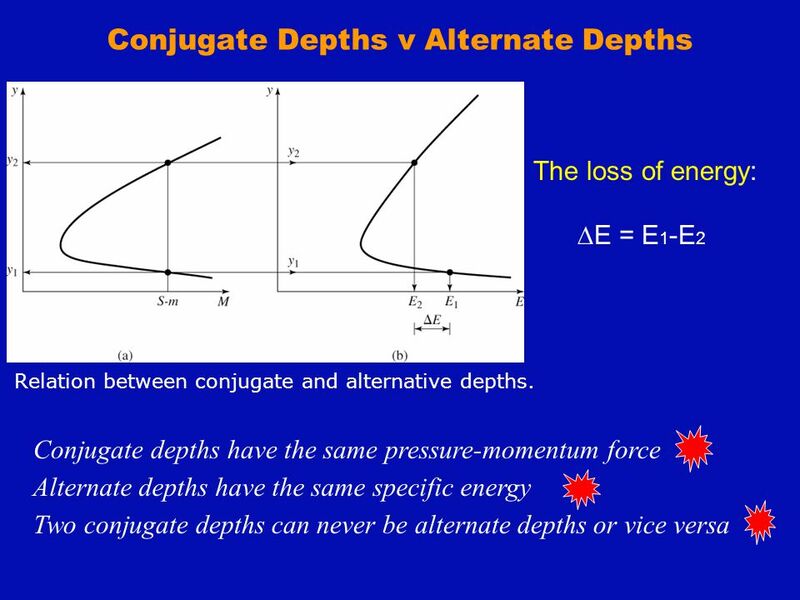 Gates. 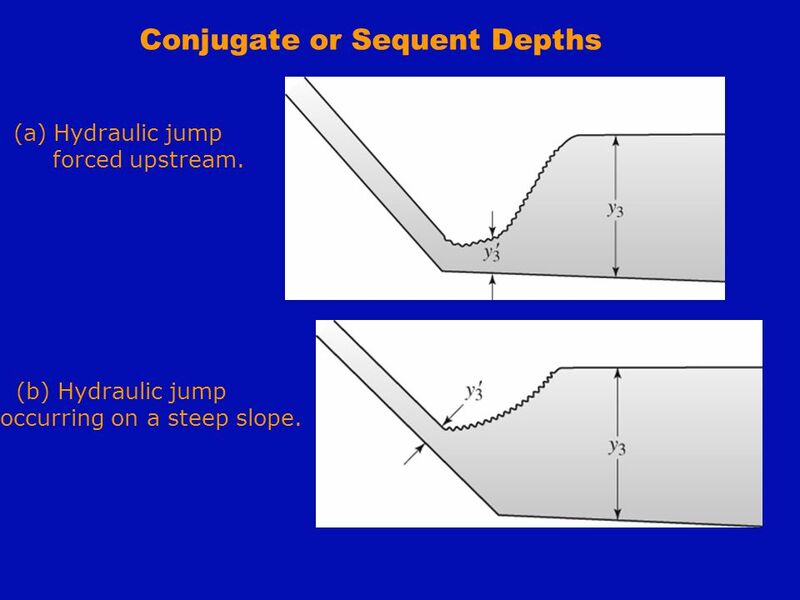 Gates Gates are used to control the discharge and also to stop the flow if required. 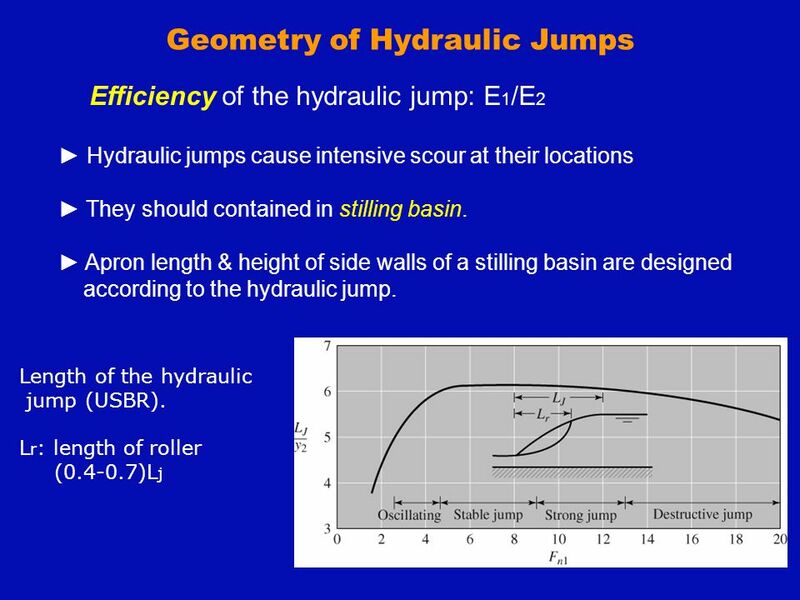 Gates are used to control the discharge and also to stop the. 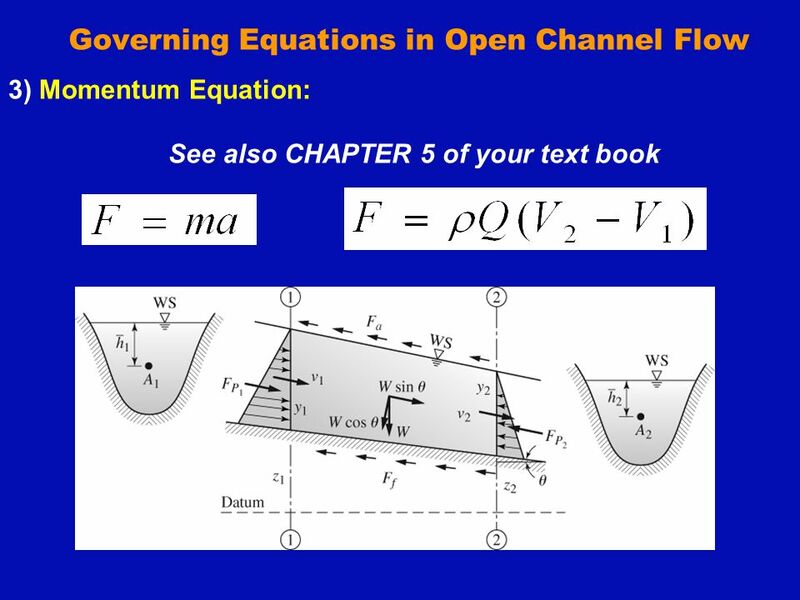 Pertemuan Open Channel 2. 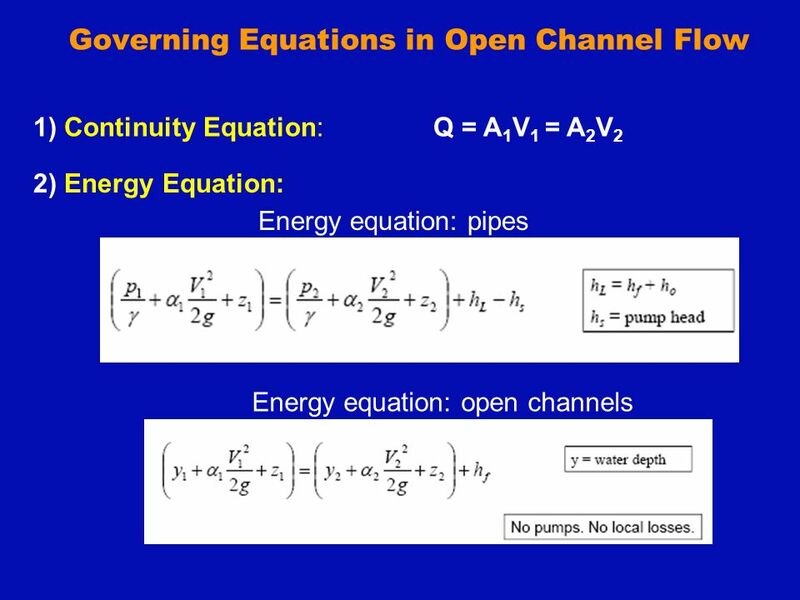 Bina Nusantara VARIED FLOW IN OPEN CHANNELS.